Indian weddings are the biggest market in India and the amount Indians spend on the wedding could cost between 20 lakhs to 5 crores approx. A person in India is estimated to spend one-fifth of the total wealth accumulated in his lifetime on his wedding. Also, the wedding industry has been growing rapidly and changing the way we used to have it in the past. The change in trends of the weddings in India have also led to the change in the way groom and brides used to have traditional ceremonies and ritual in their wedding, with the change in trends, there is a change in celebrations too, like destination wedding, pre-wedding shoots, bachelorette vacations all have become an important part of the wedding nowadays. The ongoing trend of the pre-wedding shoot, which gives the chance to groom and bride to get closer to each other, if they are having an arranged marriage and in case of love, to celebrate their love and save those memories for life. Moreover, when it's about the pre-wedding shoot in India, we often get confused about where to go and in which city we can get the best pre-wedding photoshoot done. Therefore we have found out some of the best pre-wedding photoshoot destinations in India, where you can have your dream shoot, with majestic views in the backdrop. So make the most of your pre-wedding shoot. The last of the great palaces of India, Taj Umaid Bhavan palace was built between 1928 and 1943, is a magnificent piece of Rajasthan’s heritage. 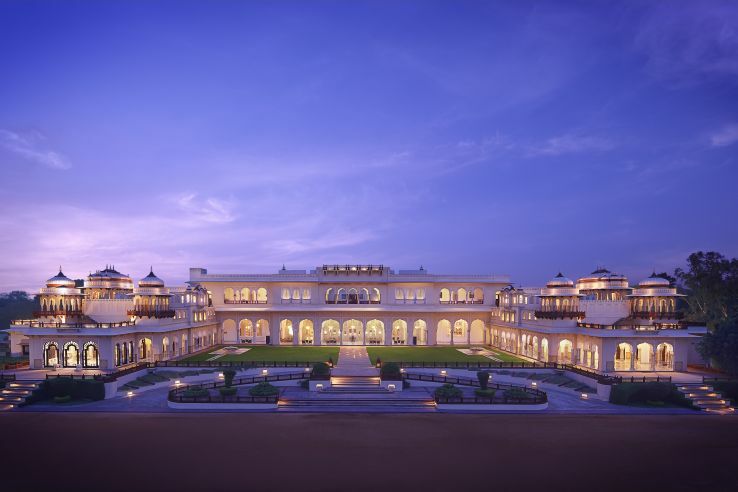 Home of the erstwhile Jodhpur royal family and currently the world’s sixth-largest private residence, the palace has one thing in common with the iconic Taj Mahal at Agra—the palm court marble used in its construction. The royalty and grandeur of the palace makes it the best pre-wedding photo shoot destination, for those royal exotic views of the historical Blue city, vast sand dunes, and most intimidating Mehrangarh Fort. The palace is located at a distance of 20 min from the airport, and there are a lot of shopping areas as well in the vicinity. One can also explore and get their photoshoot done at Balsamand and Kalyana lakes. The jewel amongst the clouds, Taj Falaknuma Palace is located 2000 feet above the city of Hyderabad, built in 1894 is the former palace of the Nizam the richest man in the world at that time. Overlooking the twinkling city of pearls, the enchanting palace gives most romantic views, the grandeur and architecture of the palace will take you back to the time when Nizams ruled Hyderabad. So if you want to go completely royal, then this is the place for your pre-wedding photo shoot in India, to get all the dreamy pictures you have ever imagined. 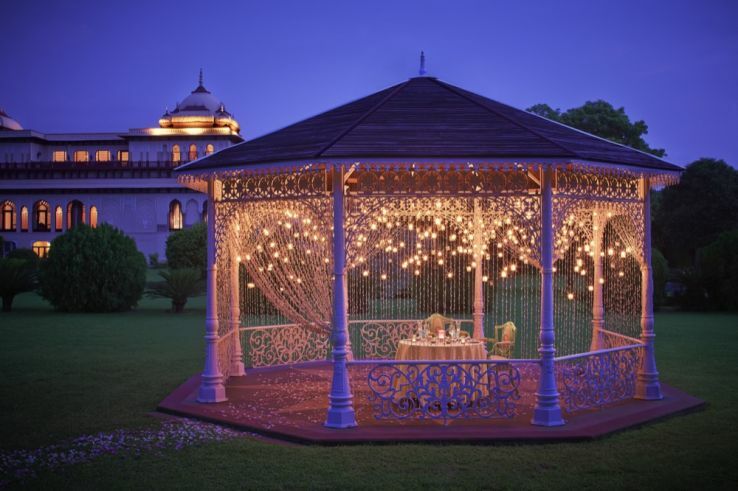 Taj Rambagh Palace was built in 1835 and has stepped gracefully through many royal transitions. The Rambagh Palace is an epitome of royalty retains its splendor and extravagantly decorated with hand-carved marble ‘jaals’ or latticework, balustrades, cupolas, sandstone, and ‘chattris’ or cenotaphs, and elaborate Mughal Gardens will give you enough places to get your pre-wedding photo shoot in the Taj Rambagh Palace. The epitome of love Taj Mahal is the most picturesque location to get your pre-wedding photo shoot, one can have the most memorable pictures here, with majestic backgrounds. 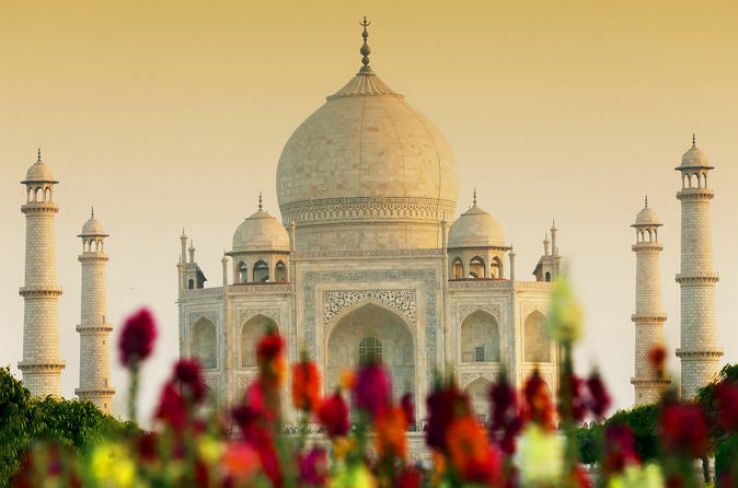 As it was built by Shah Jahan in memory of his favorite wife, nothing can be better than getting your beloved here to mark the beginning of your love. Also, one of the seven wonders of India and UNESCO heritage site, Taj Mahal will never lose its charm to give you the most amazing pictures you wish to have before your wedding. Located on the Lodhi road in Delhi, Humayun’s Tomb is the magnificent garden tomb and first substantial example of Mughal architecture in India. The lush green beauty and notable features of the garden squares, water channels, and pathways, defines the beauty of the Humayun’s Tomb. All the more giving you the most beautiful backdrops for your pre-wedding photoshoot. Neemrana Fort Palace is one of the most beautiful heritage hotel, the authenticity and the restored architecture of the fort palace will take you back to medieval times. The delightful views of the city from the top and windows of the palace are breathtaking. So if you are looking for pre-wedding photoshoot locations nearby Delhi, then nothing is better than Neemrana Fort Palace. Located in the middle of the hustle-bustle of the city the grand green patch, Lodhi Garden is a paradise in itself, that houses the tombs of Sayyid ruler Mohammed Shah and Lodhi king Sikandar Lodhi. The construction of this great work of architecture took place under the Lodhi reign sometime in the 15th century. The Shisha Gumbad and Bara Gumbad inside shows a mix of work by Sayyids and Lodhis. Not just that, the lake inside the garden and various other corners gives the most picturesque views to get the perfect pre-wedding photoshoot done. Celebrate the moment of togetherness in luxury and get your pre-wedding photo shoot in Park Hyatt Goa, as what can be more beautiful than white sands and blue ocean in the backdrop of your pictures. So to make your pre-wedding shoot, the beach and colorful one, then don’t think twice just rush to Park Hyatt Goa Resort and Spa. France is far off, but their beautiful French colony in India, Pondicherry is still there to give you all french vibes. Amazing weekend getaway for people living in Chennai or Bangalore. Pondicherry is known for beaches, good food, and amazing architecture. Literally known as Goa of Tamil Nadu, Pondicherry offers most amazing and picturesque locations to get your pre-wedding photo shoot done. One of the most luxurious holiday destinations in the world, as ranked by the BBC, Kumarakom Lake resort, has its own charm. The finest luxury heritage resort in India, nestles on the serene banks of the Lake Vembanad, the vast stretch of tranquil, emerald green backwaters, in one of India’s popular holiday spots, Kerala and gives spell bounding views in the backdrop of the pictures. So plan your pre-wedding photo shoot in Kerala Lake Resort to enjoy the real beauty of Kerala with steer clear views.